Psalms 121:1-2 I will lift up mine eyes unto the hills, from whence cometh my help?My help cometh from the Lord, which made heaven and the earth. Greetings to all beloved readers in the matchless name of our lord Jesus Christ. I was deeply burdened in my spirit on 17th May afternoon, when I was asking lord many questions which made me worried and tensed. I opened my bible and started reading Psalms 121. I kept on reading it again and again and asked my lord what I should do ? Because there were lots of things which was making my heart heavy. And I could hear my lord speaking to me only two words “Look up”. Still, I was unable to understand it. I kept on asking god, ‘what I should do ?’ Again he said “Look up”. And I lifted up my eyes up and my lord poured his grace upon this worthless servant and removed the burden of my heart… And after I received his word, I realized that I was actually looking around and not up. My heart was burdened because I was looking around- and not up… yes! My help comes from the Lord. I have a full assurance in Christ that he will also pour out the power and grace to all those who are going through the same situation. He says, ‘ I will’ & not ‘ I may’. This means he was fed up of looking around. So he decided to “.. lift up my eyes unto the hill”. God is promoting people who says “I WILL”. God is calling someone who says “I will”. Simon Peter left his boat and net. This shows his ‘will’. Even prodigal son said, ‘ I will get to my father.’ Helps comes from above when u take a firm decision that “I will not look anywhere else. Instead I will look up”. Man is dependant. There is a saying “you can draw picture if there is a wall”. i.e we need a base to perform, without which we are unable to do anything but god do not need a base if he can fill the empty earth he is able to fill us . I am not saying that you should say ‘NO’ to your brethren, but putting our entire base or trust on men is a sin. There are some areas when we go helpless. It is better to put trust in the lord than in men. I want to glean some truth about some people from the bible who looked up. Jesus is the best example I can give you. John 11:41 says, ‘then they took away the stone from the place where the dead was laid. And Jesus lifted up his eyes and said “Father, I thank thee that thou has heard me.” ’ Remember, Jesus was in flesh when he wept, but he used his divine power when he called Lazarus out of the tomb. He was in flesh but he was also a god. If Jesus lifted up his eyes to the heaven, then how much more you and me must do it? I believe Jesus was setting an example by lifting his eyes up to the heavens in front of people and both sisters because they all were looking at the situation. Martha was worried about the number of days already passed after her brother died. Jesus was showing us what we should do and where we should look when we are facing such circumstances. He lifted up his eyes and thanked father. But unfortunately we don’t look up. We look how deep our situations are. We give our ears and our mind to our situations and come to wrong conclusions. Joseph was cast into the pit. In his initial stage, god wanted him to learn that when you are cast into a pit, you cannot look around but only look up. Why were his dreams not shattered ? It’s because he had learned to look up from that pit experience. Why does some of our dreams get shattered ? It’s because our eyes are not focused up… ‘Jesus lifted his eyes up’. Let’s do the same when the problems of the world and the devil is against us…Let us also look up…If you are not getting answers, do not look around but look up. If your company is not treating you well, do not look at the management but look up. If your family is not caring about you, don’t talk against them but look up. When there is nobody to look after you, don’t look around but look up. See the second sentence of the prayer “Father, I thank thee”. He was not complaining. In fact, he was giving thanks. The most important thing you must understand by this is that when u look up, do not grumble or complain for what you are going through but thank the lord because he is aware of what you are going through…You don’t need to tell him how deep your situation is. Some folks think that god is unaware of what they are going through but he who keeps Israel never sleeps nor slumbers. The second most important thing to notice in the prayer is “thou hath heard me”. We sometimes ask god by wavering between two opinions. But those who ask must believe that he has received. Let us learn from Jesus. He was facing a huge crowd, a tomb, a dead situation and his loving family members of Mary and Martha. But he didn’t look at any of them. He lifted his eyes up. He was actually teaching us as to what we should do in such circumstances. Look up, do not grumble, give thanks and believe that he is worthy. Devil took Jesus on a pinnacle of the temple and told him to cast himself down. Next, he took him to a high mountain and showed him the kingdom of world around. Devil always wants you to look down and around. He will try all his schemes not to allow you to look up. I remember the time when we were in need of money for the rent. We were short of 1000 dirhams and we had only one day left. I am not saying that because of our prayers, god provided for us…But he knew our situation very well. There are many blessings for which we never prayed, but yet we received the answers from god. God is true to his name – Jehovah Yireh. We don’t know what will happen next, but when we are up to the brim, we see the miracle of his hands. I have seen god sending angels in form of our brethrens and people whom we have never met before. Surely our help comes from our lord. ‘Abraham rose up early in the morning and took bread and bottle of water and gave it unto Hagar, putting it on her shoulder.’ (Genesis 21:14) Always remember! Men’s help will be a burden on your shoulders. By this incident, god taught me some good lessons…Let me put it in this way… Abraham’s help shows the help from men. Let us differentiate men’s help (Abraham) from God’s help. Abraham gave Hagar bread and water but it was all over in the midst of her journey. But god opened for her a fountain of water forever. Abraham’s help made Hagar cry over child. God’s help cheered up Hagar. Abraham’s help was for some time but god’s help was forever. Men do not know what you need but god only knows what exactly you need. Abraham helped and then he forgot her, but god remembered her…She lifted her eyes into the wilderness for little water, but she couldn’t find any. But god opened her eyes to see what was already prepared for her and her child. Even Joseph in the prison looked around for a help and requested chief butler to remember him but he did not remember him. What would have happened if that chief butler remembered Joseph ? He would have never reached the king and would never be a minister. His help was not from the palace, nor from around but his help was from above. Our eyes must be still on Jesus who was lifted up into heaven. If there is any change in the focus, we will not be seen in his kingdom, because Heb 12:2 says, ‘ Looking unto Jesus, the author and finisher of our faith…’ He is the beginning and the end, the first and the last, alpha and omega. Let us lay aside every weight, and the sin which doth so easily beset us, and let us run with patience the race that is set before us. Lift your eyes to the heavens because your help comes from the lord, not from men. Heart Greetings to all beloved readers in the name of our Lord Jesus Christ. We all are familiar with this text. Many of us know this by heart but unfortunately we fail to understand what exactly it means. We say it but we do not practice it. Many people think that faith is acting to have something when it is really not there, and if we do that long enough, then we will have that. But that’s not faith at all. Faith is real. Faith is a substance i.e. faith is real. It is the evidence of things not seen. Notice it doesn’t say “things that don’t exist.” They do exist. They just aren’t seen. We do not see air but we can feel it. We cannot see Television Signals around us till we switch on the TV. Can anyone claim that there are no T.V signals around because they cannot be seen? Signals do exist but we must switch on our TV to see the images. It’s never God’s transmitter that is broken. It’s always our receiver that is the problem. God is transmitting his grace, love and his blessings unto us but we cannot receive them because we want to see the proof. Remember, there is a truth which is seen and heard beyond your natural eyes and ears . We all receive the word of god but at the same time, we also want the proof that god will perform it. God commanded Noah to build an ark because he was going to destroy the earth with rain…Noah who had never seen rain in his life time,never asked God for a proof. Hebrews 11 says that ‘by faith Noah build an ark.’ He started by faith. I believe that Noah saw the rain in spirit before seeing it through his physical eyes. I will share one incident which happened recently. One day, I was driving back home & when I was near to my house, I prayed “God I need a parking in front of my house, because it is really an uphill task to get a parking space in our locality. “ And without wavering in faith I claimed “I have received the parking”. See, I received this parking space in my spirit but physically I was still driving. When I reach my house, I found a space just opposite to my house which is impossible at that time. I have shared this to make today’s subject crystal clear. God speaks to us through three mediums : 1) Word of god 2) through his anointed servants and 3) Visions. 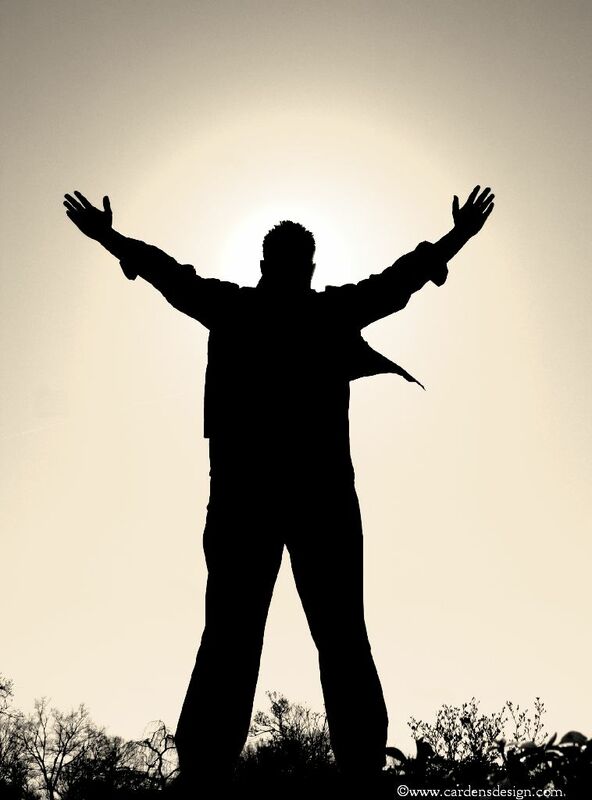 I believe most us are satisfied and feel great when they see a clear dream or visions like angel descending and ascending from heaven or when some pastors lay their hands on them. But I have noticed that some are not satisfied when they hear the word of god. The only reason is because they cannot see anything coming in their way. Some are like Apostle Thomas who do not believe till they feel by touching. But let me make it clear to you that there is more power in hearing the word than seeing a dream or laying on of hands.You can’t see the mobile signals but you can hear the voice and express your feelings clearly. Many of the miracles which Jesus did was by touching while some did not even need touching. A centurion came to Jesus and requested him to speak the word so that his servant would be healed. He believed in the power of the word. He did not want Jesus to come and lay his hands on the servant. He knew that the power of the spoken word would flow the moment it’s spoken. This cannot be seen through physical eyes. 1) Spiritual 2) Carnal and 3) Babes in Christ. These three stages are very important to understand…who is spiritual? In simpler words, those who walk and see things spiritually are called spiritual. Who is carnal ? Those who walk and see things through flesh are called Carnal …and babes in Christ are the beginners or the ones who do not understand the depth of spiritual movement. You must understand that Paul is not speaking to mere men but he is addressing the ‘Brethren.’ Let me explain about the carnal and spiritual bretheren. A carnal person believes in what he receives through the 5 sense organs, i.e he will believe only what he sees. But a spiritually filled person, without neglecting the physical truth, will allow the spiritual truth to prevail. I will make this very clear through Bible itself. When you read II Kings 6:14-17, we can see that the king of Syria sent his army of horses and chariots, and surrounded the city to take prophet Elisha. Now when the servant of prophet arose early and went out , he saw a great army. He was in great fear and said to his master “ Alas, my master! What shall we do”? Do you also say this when you arise early in the morning and see unexpected situation around you ? The servant never expected an army, which was against his expectations. Hence, he was in fear and did not know what would happen next….Do u feel like this anytime? Don’t worry ! Not only you, but almost every Christian fear and get shocked when they see situations against their expectations. Now let’s see what Elisha did here. He did not tell his servant to run. He said, ”do not fear.” Do you run away from your situations? Elisha did not neglect the huge army which he saw with his physical eyes, but he allowed his spiritual sight of army and chariots made by fire from heaven to prevail. He closed his physical eye and opened his spiritual eye. A physical eye will say that ‘it is finished’ but the spiritual eyes will say, ‘ no it is not finished yet.’…You may think that it is all over, but pray to god to open your spiritual eyes to see the evidence of things not seen. You cannot work out your faith physically. Bible says “My just shall walk by faith not by sight” i.e. seeing things beyond our naked eyes. Elisha prayed unto god to open the eyes of the servant. Was his eyes closed ???? Yes, his spiritual eyes were closed but physical eyes were opened. That is why he was in fear. Why we get into fear when we see the situation against us because we do not see by our spiritual eyes. When Gehazi’s eyes were opened, the Syrians didn’t disappear. They were still there. The physical truth was still true, but there was a greater spiritual truth that emerged. True faith doesn’t deny physical truth; it just refuses to let physical truth dominate spiritual truth. True faith subdues physical truth to the reality of spiritual truth. Elisha was not just speaking some wishful statement, hoping that it would become a reality. He knew what was real in the spiritual world, and he controlled his emotions and actions accordingly. There is no indication that Elisha saw the horses and chariots of fire around him. He didn’t need to. He believed it. Those who operate in true faith don’t need to see with their physical eyes. Their faith is evidence enough. I remember in the early days of ministry with my dad one sister she was an AIDS patient came in our prayer meeting..
God spoke through my dad that she is healed so he laid his hands on her rebuked the infirmity. After the prayer dad told her to check herself with the doctor and that lady replied a strange answer which stunned everyone because she was an Hindu lady, she said “ If god has healed me then why should I check?” This incident was at 1994 but she is very healthy till now and god has healed her completely. Now what surprised us was her reply she received her healing before seeing the reports. 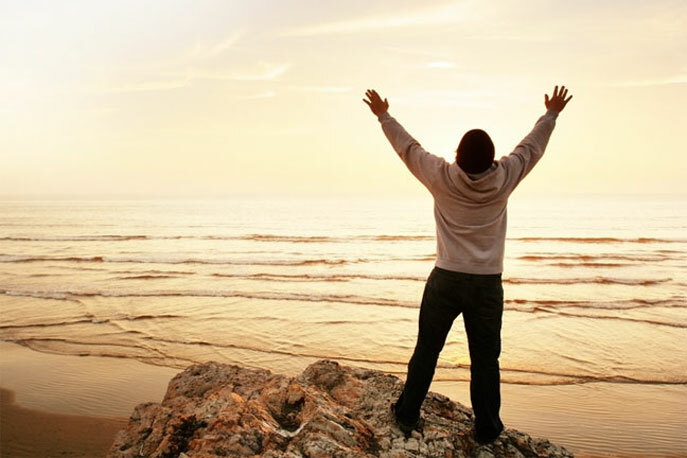 AMEN …..Doctor’s report may be negative can you believe in the word, he has healed you. Someone who is going to read this Rhema is having a negative report in her hand from the doctor but god has healed you ….You have received the healing !! Hannah was crying before god for a son, she bitterly cried unto god with fasting and prayer. We all know Pastor Paul Yonggi Cho, senior pastor of world largest church. He started the church with none, he initially use to speak to those sugar-cane fields thinking that he speaking to a large crowds, one might think he is gone out his mind…but actually he received those crowd before seeing them by naked eyes. I don’t have the latest update of the members of his church but 830,000 members (as of 2007).There is many more testimonies I would like to share about Receiving in spirit before seeing with eyes. Science require proof, we do not need it anymore. May god bless you and enable you to walk daily by Faith and not by sight. Luke 19:5 And when Jesus came to the place. He looked up and saw him and said to him “Zacchaeus make haste and come down, for today I must stay at your house”. This particular message was hidden for me until God revealed it to me. On 30th April afternoon, while I was praying, the Holy Ghost revealed the truth behind the salvation of Zacchaeus. I have gone through this text many times before but never knew what exactly it meant. But I fell straight unto the feet of Jesus who came to me in my room that afternoon. I cried and cried until I was weak and thanked him for the revelation. Interestingly, every action that Zachchaeus and Jesus did in Luke 19 consists of messages and hidden truth. I am so excited that I am going to share this with you. When I received it, I praised god…and I am sure you will also experience the same. Zachchaeus was a Chief Tax collector,he was very rich but short in stature. Bible is actually very concise and concentrated. It doesn’t say many things which are not important to the revelation. This man was holding a good position , he was very wealthy but lacked something in his life so he sought to see who Jesus was. You may have everything of this world but if you don’t have Jesus – you have nothing.He might have heard many things about Jesus from his friends and society but all that knowledge did not satisfy him. That’s why he sought to see Jesus. We will seek only those things which we have never seen or heard before. Why will someone seek the things they already know ? The text doesn’t indicate that this man heard about Jesus beforehand, but it clearly says “he sought to see who Jesus was” . By this, we can come to the conclusion that this man had heard something about Jesus, but now he wanted to see and experience more of who Jesus was. We can also understand from this text that he came to see Jesus to know him more than what he had heard about him. I was born and brought up in a strong Pentecostal family, with daily prayers and worship. I thought I knew God…but the whole concept changed when he touched me…I don’t know him still….I am tasting him daily…he is very vast and big for me. God will not hide himself who will diligently seek him. Proverbs 8: 17 says, “ I love those who love me. And those who seek me diligently will find me.” Zacchaeus heard about Jesus but he could not taste who Jesus is. That’s why he planned to seek Jesus. Job 42:5 says,” I have heard of you by the hearing of the ear, but now my eye sees you.” All that Zacchaeus heard about Jesus was not enough to satisfy him. He was thirsty to see and hear more about Jesus. All that he had heard did not change him. Initially he could not see Jesus because of the Crowd and his short stature. His first attempt failed , but next verse says “So he ran ahead and climbed up into a sycamore tree to see him” . This action touched me a lot. Even though his attempt failed initially, he did not stay back, but he ran ahead…..and climbed….These two actions are very important to understand and it has taught me a new lesson. He ran ahead and he climbed…We sometimes give up and go weary when we do not find answers in the first attempt….But this man ran ahead …His failure boosted him up to the next level….and he climbed…Who can climb? If I give up and if I go weary I cannot climb. But his action teaches us a lesson. His thirst to see Jesus was so much that he didn’t go weary but gained strength to climb. My god!! I don’t know how many of you got this point….If you seek god diligently, god will test your thirst for him. He may hide his face at your first attempt, but if you still run ahead and climb to the next level of seeking….he will not hide his face but he will reveal himself to you. Do you give up at the first level itself? Do you go weary when you see the prayers unanswered? Zacchaeus did his best . Now it’s the turn of Jesus to do the rest. Everything he did was just to see him. Let our every action and prayers be this “Lord I want to seek your face”. 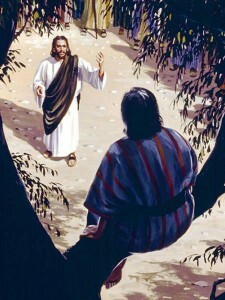 Zacchaeus not only sought to see Jesus, but he waited up in the tree. Psalms 40:1,” I waited patiently for the lord and he inclined to me” . Jesus came to the place where Zacchaeus was waiting for him. What does this teaches us…if you seek him diligently and wait for him…he will not forsake you but he will come to you. Psalms 34:5 “They looked to him and were radiant and their faces were not ashamed. “ I believe that this man could not see Jesus but Jesus saw him. Jesus came exactly where Zacchaeus was waiting for him….and when he came there, he called his name and said,” make haste and come down for today I must stay at your house.” There was a crowd near to him. But Jesus was seeking people who was seeking him and he knows the name of the person who seeks him diligently. They will never be ashamed. God searched Zacchaeus and knew his heart. Now the next word is very powerful. When the Holy Ghost revealed this to m, I dropped my pen and lay on the floor kissing my Jesus feet….. Verse 5 says, “ And when Jesus came to the place, He looked up and saw him.” Many a times, we seek the lord but at last we give up, and draw back and when Jesus comes to that place where we were before, he sometimes does not find you and me. Are you there still? You may be a meter away from god’s blessing but unknowingl, you gave up, thinking that god is away from you. Are you there? Jesus came to that place and found Zacchaeus. I love this Zacchaeus because he taught me to be available when god is there to perform a miracle for me. Like Zacchaeus, are we there still??? He thought of just seeing Jesus and going his way . But this was not the plan of Jesus. He wanted to stay at his house. He didn’t want to change only Zacchaeus . He wanted to change his entire house . I don’t know who, but the Holy Ghost is telling me that someone who is reading this has sought Christ Jesus but his/ her family is not saved still..But there is a message for you today …God is going to visit your house….’You have found me now your family members also is going to taste me…”. My god! I really don’t know who is this…but you have received the deliverance right now. God wanted to make his home in Zacchaeus. John 14:23 says , ‘Jesus replied, “If anyone loves me, he will obey my teaching. My Father will love him, and we will come to him and make our home with him. ‘ Revelation 3:20,” Behold, I stand at the door and knock, and if anyone hears my voice and opens the door, I will come in to him and dine with him, and he with me.” God is not looking for rich or talented persons…He says,” if anyone hears my voice and opens the door, I will come and make my home with him.” Verse 8 says,”Lord, Look, Lord, I give half of my goods to the poor and if I have taken anything by false accusation, I restore fourfold”. This act of him led him to his salvation…. Did Jesus tell him to do all these? Why he did not think of this before? Because Jesus was not in his house…but when Christ Jesus came into his heart, he came to know that he was a sinner. He came to know that he had taken something falsely and had earned something in a wrong way…Unless and until Jesus comes into your heart and makes his home in you….you will never have a thought that you are a sinner. We see people around who think that they are perfect. It is because they have never met the real ‘perfect’…A violin is not tuned by another violin but it is tuned by the keys of the keyboard…Unless and until Jesus comes into your heart and makes his home in you…You might think that the act of sin is the new trend. You might think that smoking is a fashion while drinking shows your maturity.….Pray and seek the lord. He will never put you down, but will lift you up from the miry clay and horrible pit of sin. I want to write many things but I have limitations here. Zacchaeus gave half of the goods to the poor and the rest, he gave to the people from whom he had taken in a wrong way…Now he doesn’t have anything….People around might have said that he has lost everything. But Zacchaeus will tell “NO, I have gained.” He was not giving actually, but he was receiving the blessings and salvation. In Verse 9, Jesus said “Today salvation has come to this house, because he also is a son of Abraham.” Now many think that if they give something, they will get salvation but this is wrong concept actually …..Salvation is not something which is gained by your ability or by your power but it is the Gift of god…There is nothing that you can do to earn this gift. If one could earn it, it would not be a gift, it would be wages. Why did Jesus call Zacchaeus as the son of Abraham ? It was because Abraham left everything and followed God by Faith( Hebrews 11:8-9) .This man like Abraham, gave everything that he had earned for Jesus. Now he didn’t have anything of this world, but he had Jesus in him…He is not walking by sight but he is walking by faith…. Before this, it was the devil who had made his home in the life of Zacchaeus life . But since he sought Jesus , the prince of peace, Christ Jesus made his home in the heart of Zacchaeus..
Let us seek the lord not only on Sundays and Fridays, but let us seek him all the days of our life. Lord, make your home in me… God bless you with this. 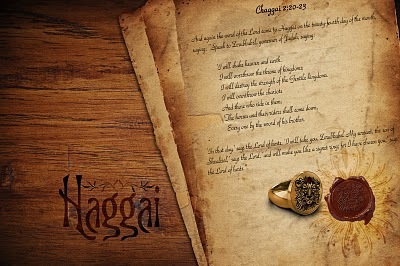 Haggai 2:23 In that day, saith the Lord of hosts, will I take thee, O Zerubbabel, my servant, the son of shealtiel, saith the Lord, and will make thee as a signet: for I have chosen thee, saith the Lord of Host. Greetings to all in the name of our Lord Jesus Christ. I thank my Lord for giving me this privilege and understanding the revelation of the word. As I always mention it is not me who is writing, I am a just a pen (a weapon) who is in the hands of Great Author HolySpirit. I give all glory and honor to my savior Jesus Christ. “When you know the truth, the truth shall set you free”Knowing our identity in Christ is very important, we must first know who we are and who has called us. Many times we fail to understand ourselves and this is what devil wants, he will never allow you to know your identity in Christ. Eve was deceived because she did not know who she was, devil deceived her by saying that if she will eat from the tree of life, she will be like god but she forgot that she was like god. Today’s message is about a Signet Ring. he has sealed us with his precious blood, God is having authority on us, now no devil in the hell can dare to touch us, Let everyone say that I am Sealed. no one knows my name because the word knows my name, I am not disturbed if no one care my situations because the one who know my name knows my situations. son of shealtiel”. I thank god that my God know me better than my parents. I am servant to the lord first and then son of my parents. I am a child of my father in heaven first and then I am a child of father who is in earth. The next important thing to notice in the text which says… I will take thee and I will make thee for I have chosen thee. God will not deliver you and then chose you but he will chose you and then deliver you. He has seen you and me before the foundation of this world. I thank God that our ways are already planned by god, he has inscribed us on his palms before the foundation of the world, now no devil in the hell can bring hurdle on the plans that god has already laid and sealed on me. Let everyone say that I am sealed! This particular text has really touched me which says… I will take thee; I will make thee for I have chosen thee. Dear Reader, No problem where and in what situation you are struggling right now God will take you from the things which you are struggling right now and he will make you into a new being. God took David from the field of sheep to the field of battle and made him rule over Israel. David is not groom in courts or in palace, he don’t know any protocol, he don’t know to rule, his father and his family did not support him but god took this shepherd boy and made him a ruler of Israel. Your Situation doesn’t matter God, if he can fill the void and empty earth to the fullness and richness of his glory he is able to change the situations, if you have the will to change and set your mind and do not waver in and out but renewing your mind, god will take you and will make you as a SIGNET RING. Joseph was cast into the prison but he was living a life of expectation. Who took him out of the pit and from the Prison? It was the God who promised him. over the land, now he is the mouth for king. you from those entire pit and prison circumstance to the palace of power and peace. Now Gospel according to Mathew Ch 16:18 and 19 says, and I say also unto thee, that thou art peter, and upon this rock I will build my church; and gates of hell shall not prevail against it. And I will give unto thee the keys of the kingdom of heaven and whatsoever thou shalt bind on earth shall be bound in heaven and whatsoever thou shalt loose on earth shall be loosed in heaven.Now the words which I have underlined are very important to understand. Jesus said to peter that it is not your Job to build it is my Job, I will build and whatever god builds there is an enemy who wants to destroy. his people “ And I will give unto thee the Keys” No matter how big and strong may be the Lock it needs a small key to open and close the lock. World may underestimate you but the power of god which is in you is not small it has the power to bind and loose the works of hell. What the keys resembles over here? It is the authority. I thank god that I has the keys of kingdom of heaven to loose what devil binds on me and to bind whatever he brings on me. It is god who builds us and it is god who gives us the authority over darkness. God gave us the authority to bind the works of the devil, now darkness cannot rule over us, disappointment cannot make its home on us, because God made us like Signet Ring over all things…Do not speak negative, do not think negative speak and claim the power of god which has already manifested on you…you are a Signet Ring. Daniel was put inside the den of lions and the king sealed it with his own signet. (Daniel 6:17-18) now no one can roll the stone of the den because the king has sealed it and Daniel has no way to escape from lions. But there you can see two miracles First God send his angel and shut the mouth of the Lions (the one who made the mouth of lions is able toshut the mouth of lion- devil forgot this theory) second King did not sleep that night (the one who gives sleep can take the sleep also- devil even forgot this theory). I guess lions were enjoying the presence of Daniel in the den…next day morning the king removed his seal from the stone of the den and took Daniel out of the pit because in front of the power of God no power in this world or in hell can prevail. Let this message be an eye-opener, Let us identify ourselves who we are in Christ.